On November 8, 2108 the newly elected Ontario government began a rather ominous process to revise land use planning process in Ontario. The setting was the “Growth Plan for the Greater Golden Stakeholders Forum” which was held at the Ontario Room of the MacDonald Block at 900 Bay Street in Toronto on November 8, 2018. Photo shows Thundering Waters wetlands where offsetting scheme was tried in past. Development advocates at recent Growth Plan consultation by province urged wetland offsetting be permitted by change to provincial regulation. The forum which had around two hundred participants, had been previously discussed with the Association of Municipalities of Ontario, (AMO). It was far more noisy than most government consultations on land use planning with buzzers frequently telling table panels when their time was up. The celebratory tone used by the facilitator resembled that of an auctioneer. Planners from Waterloo Region appeared to attempt to push discussions in a more environmentally sensitive manner, as they alone stressed issues such as climate change and facilitating conservationist land securement. Most of those in attendance in the forum were municipal planners and planners who work with the land development industry. I appeared to be the only “stakeholder”, to represent an environmental protection group. While a researcher for the Preservation of Agricultural Lands Society, (PALS), I seemed to have received the invitation as Chair of the Ontario Chapter of the Sierra Club of Canada. The forum was the basis for launching a new consultation paper on the Growth Plan. While the Growth Plan according to statute must be reviewed every ten years, from the tenor of the discussions at the Forum, it is clear that the time involved in making changes will be less than that. It may take place after two additional consultation meetings in less than a year. The proposal that settlement boundary expansions take place sooner than the five year comprehensive review cycle is the most troublesome of those unveiled at the Forum. A major reform in land use planning initiated 15 years ago through changes to the Planning Act and the Provincial Policy Statement n (PPS), was that urban boundary expansions can only be made through a five year comprehensive review. Before this long overdue reform, there was land use planning chaos on the urban fringe. After quite detailed scrutiny through expert testimony and hearings by the Ontario Municipal Board, (OMB), urban boundary expansions that had been debated for decades could suddenly be reversed through a new application. Then the process would start all over again the hope of being heard by a favourable OMB hearing officer. Ominous darkness in forest reflects gloomy prospect of Municipal Bar (lawyers) demanding repeal of Bill 137 so they can revive bad song and dance of cross examination of experts in hearings. Photo by Martin Munoz, Thundering Water Forest. A basic principle of the Growth Plan is that is intended to have a land use planning system for the high growth pressure area of the Greater Golden Horseshoe which is more restrictive than the minimal standards of the Planning Act and its PPS. To change this reality would be to dissolve the Growth Plan. There would be no sense in having a Growth Plan that is more permissive in terms of urban boundary expansions than the Planning Act and the PPS. It would also be a signal for a corrosive change to the Planning Act and the PPS. Sprawl would spread like cancer across Ontario. Compounding the proposed Provincial government changes at the Forum, were comments from developers and municipal planners .These were made both from the various tables and at the end in ten -second clips which were termed quick comments for the Minister of Municipal Affairs. A frightening array of suggestions were made by Forum participants. 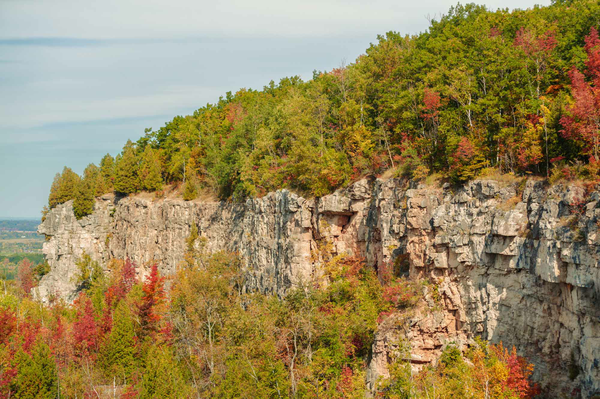 One was to abolish the Niagara Escarpment Commission. (NEC). Such “sun-setting” was suggested as well as a ten second Ministerial plea that the Escarpment Plan be administered by municipalities. There was no opportunity in the Forum to illustrate the problems of municipal administration of Greenbelt rules in the Oak Ridges Moraine and the Protected Countryside of the Greenbelt, such as illegal dumping, which on the Escarpment Plan area is corrected through NEC clean up orders. Also the much greater success in extending forest cover in the Escarpment Plan area through the NEC plan administration than the rest of the Greenbelt was ignored. Another call by developers’ agents was the repeal of Bill 137, which created the Local Planning Appeals Tribunal. (LPAT) There was a lament for the supposed good old days of the OMB, claiming the new system gave less weight to expert witnesses. Such claims ignored how the major reform in the LPAT process is the abolition of cross examination of experts. This will reduce the role of lawyers, not experts. The Forum strongly reflected the views powerful special interest group known as the Municipal Bar. Another cry was raised that the “White Belt” lands adjacent to the Greenbelt be given a new status in a revised Growth Plan. It was urged that these lands be formally designated as an “Urban Reserve”. This would have quite negative impacts of encouraging severe storm water pollution from rapid urbanization of these lands, which are primarily, Class One and Two agricultural lands. Development here could seriously degrade the Don, Humber, Rouge, the Credit, and Carruthers Creek. The most worrisome Forum calls, were the advocacy of wetland offsetting and a greater role for Conservation Authorities in land use planning. 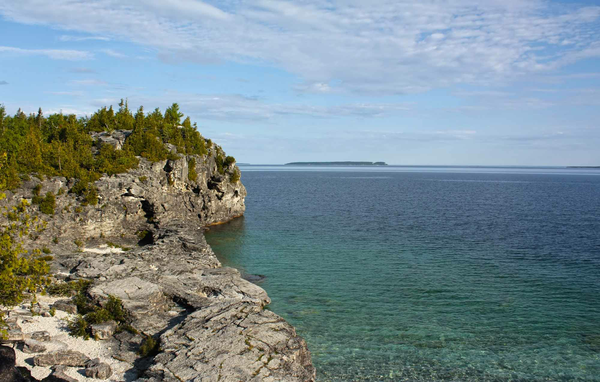 Efforts by the Niagara Peninsula Conservation Authority to do this have been recently condemned by the Ontario Auditor General. Her report noted that their studies to justify offsetting at Thundering Waters in Niagara Falls (now under appeal by the author of this article) lacked any field research. What makes the call for considering wetland offsetting so outrageous is that it was made after the disastrous impact of the Houston USA Flood, where its death toll was intensified by the paving over of previously protected wetlands through offsets. Most of these offsets were outright fraud. Monies for offsets were largely paid to firms to design recreated wetlands, which were never actually constructed. Buzz bells do not generate good policy. If there is are to be any revisions to the Growth Plan, it should be done only after studies are published which do not currently exist. These should look at matters such as the existing capacity of urban boundaries, and the potential harm that could be triggered by the actual urbanization of the White Belt lands. At 9:46 am in the Niagara Falls Clerk’s Department I filed a letter of appeal against Amendment 128 to the Niagara Falls Official Plan. 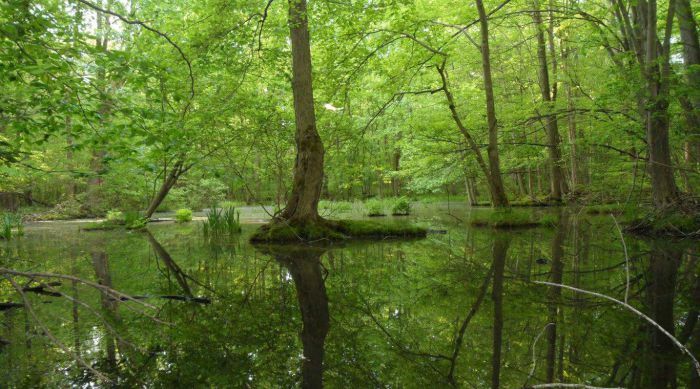 The amendment seeks to pave over about 120 acres of the approximately 500 acres Thundering Waters Forest. Although most of the Thundering Waters Forest is provincially protected wetland barred from development, much of the Amendment 120 lands known as the Riverfront Community are an unusual savanna complex. It is dominated by a native shrub species, the Dotted Hawthorn. 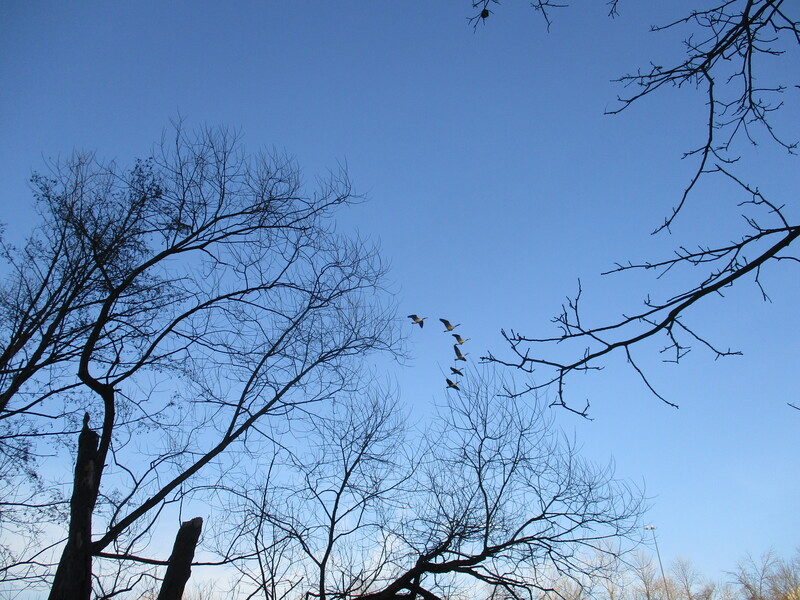 Canada Geese flying over threatened Thundering Waters Forest. Photo by Martin Munoz. On Hawthorn Savanna lands nests two Species At Risk birds, the Wood Thrush and the Eastern Wood Pewee. It also contains habitat for a spectacular Threatened wildflower, the showy purple Dense Blazing Star. On the savannah flourishes a regionally rare flower loved by butterflies, the blazing orange Butterfly Milkweed. Both iconic wildflowers, characteristic of prairie-savannah environments, are important for insects that are valuable plant pollinators. The richness in insect pollinators is one of the reasons that the Hawthorn Savannah area, which dominates most of the OP Amendment 128 lands, provides summer foraging habitat for the Threatened Barn Swallow. Other areas of such habitat have vanished because of agricultural pesticides. Here they flourish in a landscape not farmed since World War One. Although the Hawthorn Savannah dominates the Amendment 128 lands it also has dry forests. These areas, designated by the Niagara Regional Official Plan as provincially significant woodlands, buffer the protected wetlands of the provincially significant wetland (PSW) of the Niagara Falls Slough Forest. Snapping Turtles, a Species At Risk, are frequently found in the pounded ruts of long abandoned roads throughout the Riverfront lands. In the northern limits are future study areas for possible bat maternity roosting habitat of three species of Endangered bats.The large block of intact forest is also regarded by the Ministry of Natural Resources and Forestry (MNRF) as breeding habitat for the Endangered Acadian Flycatcher. According to the current recovery plan there are only an estimated 75 pairs of this specie surviving in Canada. There are three components of the Niagara Falls Slough Forest which are in close proximity to each other near a railway strip. In the spring spectacular symphonies of mating Wood, Chorus and Spring Peeper frogs can be heard here. These frogs and the Blue Spotted Salamander frequently migrate between these components of the Niagara Falls Slough Forest. Amendment 128’s failure to link these wetlands with protective corridors could lead to massive slaughter of wildlife. The weirdest provision of Amendment 128 is its call for the “deforestation” of provincially significant woodlands. 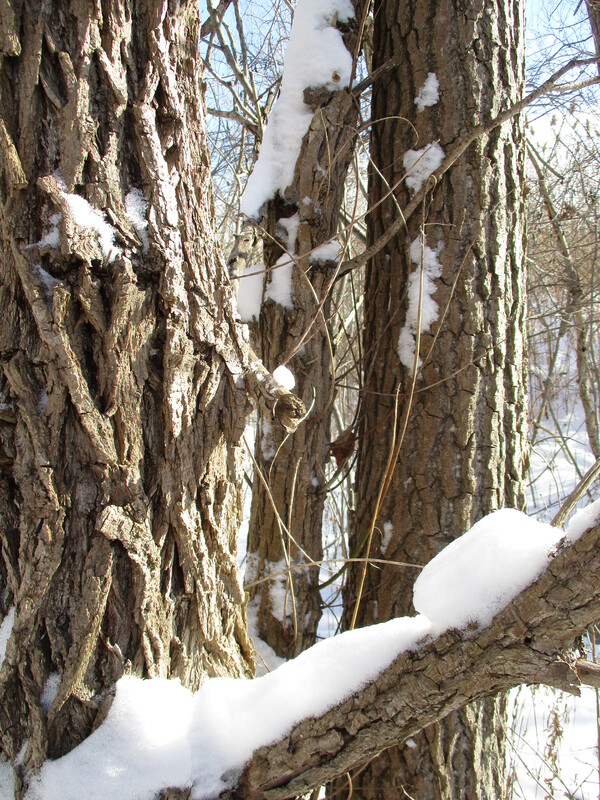 Among the trees found on these lands is a Species At Risk’, the Kentucky Coffee Tree. The massive deforestation is being advocated on the basis of the anticipated effects in two to five years of mass Ash die off from the Emerald Ash Borer. In this regard Niagara Falls is pioneering in a science fiction approach to land use planning. The protection of Thundering Waters may take up to three Appeals to win the legal battle. On May 8, 2018 near midnight immediately following a required Statutory Public Meeting under the Planning Act, the Niagara Falls City Council voted to approve what is now termed the Riverfront development. This would if actually approved by the Ontario Land Use Planning Tribunal, (LPAT) involve the destruction of 120 acres of diverse natural habitats, some of which are now protected wetlands. Absent from the voluminous detail on which the Niagara Falls Planning Department based its recommendations on the city’s website are two letters from the Ministry of Natural Resources and Forestry, (MNRF) These letters from MNRF are dated December 11, 2017 and January 25, 2018. Both were signed by Tara McKenna, Senior Planner for the Guelph District of MNRF. The MNRF letter from Tara McKenna that was released to council on April 30, 2018 does refer to the suppressed documents. This published letter moreover stresses that this April 30 correspondence does not address all of MNRF’s concerns. This letter stresses that its commentary should be “considered in combination with our previous correspondence.” Both city councillors and the public concerned with the fate of this important Carolinian refuge for endangered wildlife were kept in the dark about what the “previous correspondence” said. Concerns also about protecting Acadian Flycatcher habitat were addressed at length by MNRF in the suppressed correspondence. They do not appear in the final letter which Herlovitch chose to share with the public and the Niagara Falls City Council. This omission permitted GR Canada solicitor, Jane Pepino, to claim that MNRF concerns had been addressed by the City of Niagara Fall and her client. The Acadian Flycatcher is a highly Endangered species, with at the most 75 breeding pairs surviving in Canada. This is detailed to the most recent, Environment Canada Recovery Plan, which stresses the importance of protecting large blocks of Carolinian forests. If its numbers increased it could play an important role in forest protection, becoming again a significant scale predator of the tree destroying tent caterpillar. The Endangered Acadian Flycatcher requires large intact forests to survive. This means that the extensive tree removal that Riverfront involves would be a threat to the Canadian population. In Canada the species lives only in the deciduous Carolinian forest zone. It benefits from close proximity to Acadian Flycatchers being close by in the United States. The species however, is in decline in the northern United States also. In response to the approach taken by Savanta MNRF indicated that it would define the habitat area of the Endangered Acadian Flycatcher. This would have excluded development from part of the Riverfront lands. MNRF announced it would do this through procedures established under Section 10 of the Endangered Species Act. The day after the MNRF letter was received by Herlovitch, Savanta agreed, faced with the prospect of unilateral imposition of a protected area for the Acadian Flycatcher, to provide habitat mapping for MNRF to review. When Savanta’s March 2018 Addendum to their Environmental Impact Study (EIS) came out, there was no mention of the earlier MNRF comments, or of Savanta’s pledge to assist in mapping Acadian Flycatcher habitat after their December 12 meeting with MNRF. The failure to address the habitat of the Endangered Acadian Flycatcher did not provoke public criticism because of the suppression of the MNRF correspondence. 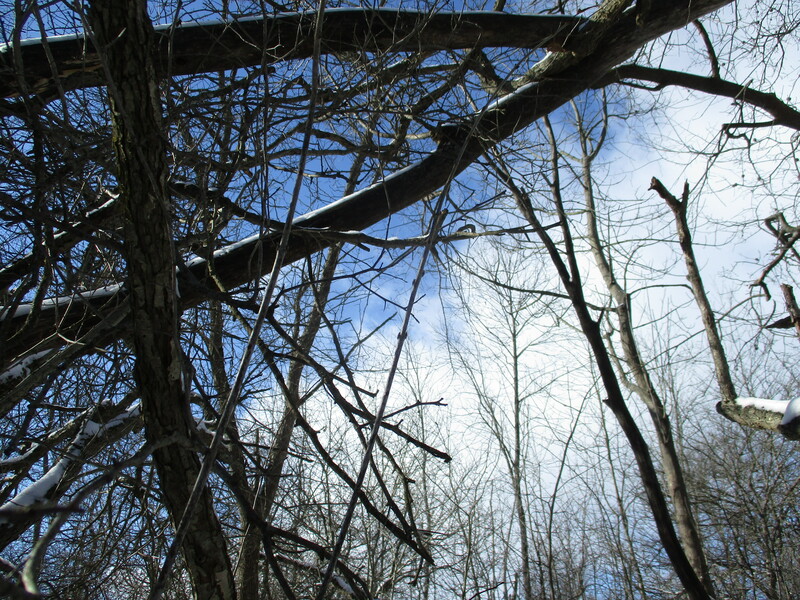 Old growth forest in area recently identified in secret report by MNRF. Photo Martin Munoz. The battles between Savanta and MRNF over the Acadian Flycatcher are similar to another dispute detailed in the suppressed letters over the extent of forest protection in the proposed Riverfront development area. There are on the Riverfront lands a number of blocks of identified provincially significant forests, delineated by the Niagara Regional Official Plan. These are designated as Environmental Conservation Areas. (ECAs) According to the regional plan development cannot take place on these lands unless an approved Environmental Impact Statement (EIS) illustrates that there is no loss of ecological function. McKenna’s criticism were based on the contents of the original Savanta EIS released when Riverfront was unveiled in October 2017. Although the subsequent Addendum to the Savantat EIS was purported to be a response to comments from MNRF, their earlier criticism of the implications of Buckthorn die off was not acknowledged. This helped Savanta make in this document even more extreme conclusions about the impact of Buckthorn, which were further inflated by Herlovitch. By suppressing MNRF’s comments on Ash Die Off Herlovitch was able to engineer a science fiction approach to land use planning guided by Savantat. The suppression also helped him to craft Condition 11 of his recommendations, which so far, by its ambiguity, has prevented any appeal to the LPAT of council’s decision. This calls for future studies to produce “maps illustrating the areas recommended for woodland removal.” The entire premise of this recommendation is based on a trick which endorses the science fiction approach of Savanta through burying the contrary views of MNRF. These suppressed December 11, 2017 comments by MNRF also dealt with another issue subsequently ignored by Savanta and their draft EIS . This is that much of the proposed Riverfront lands north of the Con Rail Drain are old growth forests. McKenna pointed out that earlier EIS work by Dougan had found that “old growth forest elements” were located here. The old growth nature of the forests here also meant that they should be considered to be provincially Significant Wildlife Habitat. In his report to council Herlovitch did recommend much of the protection for potential bat habitat in Riverfront based on the April 30, 2018 MNRF comments which were released. He did not address however, the reality that these areas are within the same old growth forest tract identified by MNRF in their earlier December 11, 2017 comments. These areas moreover, requiring a lot of oak, maple and hickory trees for bat roosting to take place, are not vulnerable to forest canopy loss from ash die off. Since MNRF’s concerns about bats were extensively addressed in the published April 30th letter, some of their comments were adopted into the May 8, 2018 report by Herlovitch. The main impact was to designate the formerly protected Wetland Number One as a Special Policy Area because of its potential significance as a bat maternity roosting area. This did not include however, all of the potential bat habitat, even that mapped by Savanta in Figure 13 of their EIS Addendum. Savanta’s EIS Addendum shows an area of potential bat habitat west of an abandoned rail line at the northern edge of Riverfront. This is part of the area identified as Old Growth Forest by MNRF in their December 11, 2018 letter. In their later January 15, 2018 letter, MNRF requested that a detailed snag density study be published as a prelude to bat monitoring. This was not undertaken, although such snags, (dead trees) are often found in Old Growth areas. In his May 8, 2018 report to council Herlovitch made a detailed list of currently ECA protected forests. In his report there was a map which listed “woodlands to be removed (due to loss of canopy:”. The report has a red line going from this map legend to the doomed forests. One of these doomed forests was identified by MNRF’s December 11, 2017 as being old growth. 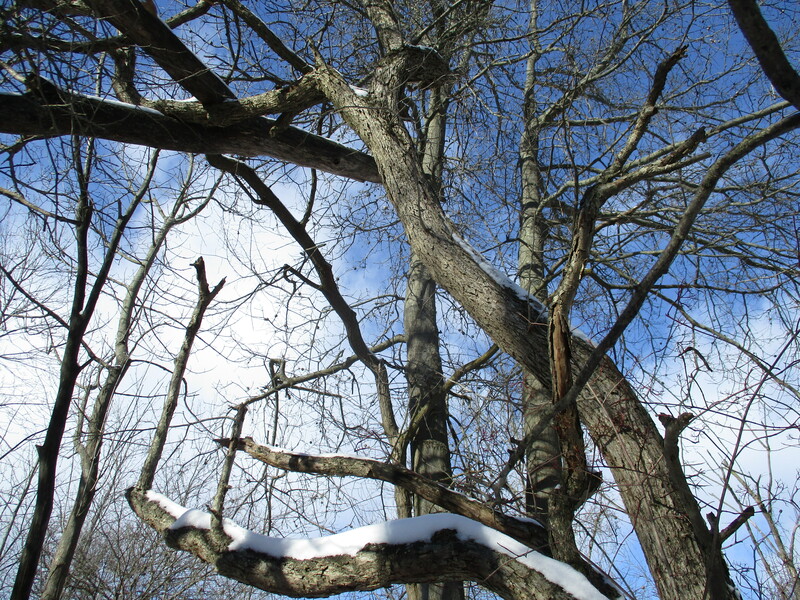 It was also identified in Savanta’s EIS as candidate bat roosting habitat. To meet this criteria the old growth forest would have to have a lot of old oak, hickory and maple trees. These are conditions which would prevent canopy loss from Emerald Ash Boer predation. 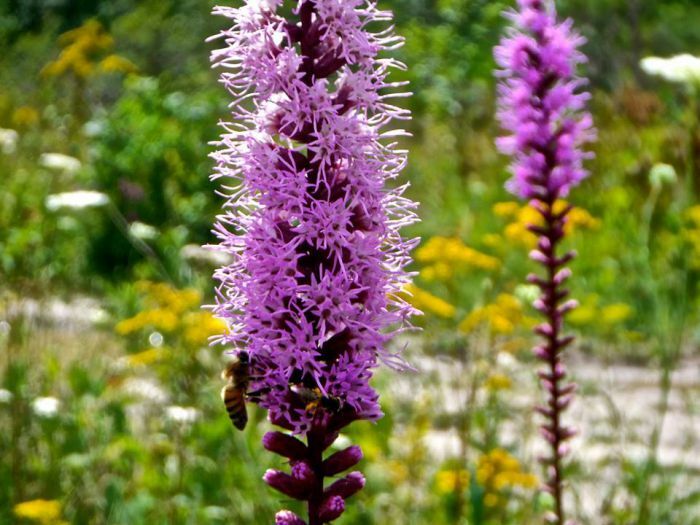 The two suppressed letters from MNRF also contained important comments on the significance of a threatened moist prairie-savannah species, Dense Blazing Star. Although since the issue of its habitat protection was addressed in the published April 30, 2018 from MNRF letter, the unpublished documents refuted claims by Savanta that MNRF regarded the species as an artificially introduced population. On December 11, 2017 MNRF wrote that Savanta’s approach to the Dense Blazing Star as not native to Niagara “is not consistent with the Endangered Species Act.” They requested that the habitat “be mapped and submitted to MNRF.” This still has not been done by Savanta. Although it claims to have excluded the Dense Blazing Star from the development area, the version of Amendment 117 approved by Niagara Falls City Council on May 8, 2018, still has an arrow for a future road going through where the population is located. Basically what two blocked MNRF letters reveal is what reasonably environmentally concerned people, aware of the precious bio-diversity of Carolinian forests would have known all along. This is that cutting up large blocks of native deciduous forest is fatal to species diversity. It also shows that claims to legitimate these assaults based on the triumph of Buckthorn are junk version of science fiction. In an otherwise flawless election campaign, the Progressive Conservatives under Doug Ford made the questionable suggestion of weakening the Greenbelt. However, the looming threats to the Ontario Greenbelt masked a seldom discussed issue: provincial land use planning. Since its inception in 1969, the use of provincial land use planning as an instrument to protect wildlife was approached with caution. MPP Jim Bradley came to be one of the longest serving members of the provincial legislature due to his ambitions to put substance over partisanship. In fact, he was the only Liberal Party caucus member to oppose the dissolution of the Niagara Escarpment Act in 1977. At its core, provincial land use planning is a complex contest between politicians, public servants, developers, various public and private sector stakeholders, and, of course, environmentally concerned citizens and advocacy groups. In our opinion, it should be a high stakes event, more noteworthy than any televised program. Unfortunately, it suffers from low ratings encouraged by poor media coverage. With that being said, it’s important to recognize that it’s more than the attitudes of politicians and public servants that contribute to provincial land use planning. Above all, it’s everyday citizens who care about the earth that can have the largest impact in environmental policymaking. This cannot be better illustrated than in the case of the Oak Ridges Moraine Plan, (link is external) passed during the Harris Government. Environmental groups had previously attempted and failed to persuade the preceding NDP-run government to bring about similar legislation. In its first term the Harris government, amidst rolling back many of NDP’s planning reforms, was similarly apprehensive. Eventually, prevalent public mobilization caused it to embrace provincial land use planning. As a result, a ten year moratorium on any urban boundary expansions was imposed as part of the Oak Ridges Moraine Plan. Through Greenbelt initiatives over the years, Ontario Liberals led by Premier Dalton McGinty turned Harris’ 10-year Moraine freeze into a 14-year one. Unfortunately, recent changes in the legislation surrounding the Greenbelt has shown that ice is thawing. Ford was able to propose weakening the Greenbelt legislature with such ease because it has, in reality, already been partially undermined. Apart from the Niagara Fruit Belt, Holland Marsh, and the Niagara Escarpment, most of what the Greenbelt Plan calls “protected countryside” is much less protected than before. Now, apart from the aforementioned areas and what are termed “specialty croplands” or “natural heritage areas”, urban expansions are to be considered by upper and single tier municipalities as part of their normal five year reviews. This means that we need to be vigilant in monitoring municipal plans and oppose inappropriate urban expansion propositions. Sierra Club asks you, the people, to share the reins in the fight for a greener future – find out more about provincial land use planning here. Original article was written by Dr. John Bacher, Chair and Greenbelt Campaign leader at Sierra Club Ontario. For the past two years the Haudenosaunee have been involved in a heroic struggle to protect the more than 500 acre Thundering Water Forest in Niagara Falls. Located in Niagara Falls near the conflux of the Adam Beck Generating Power Canal and the Welland River, this rare mix of Carolinian habitat forms a large forest block, including publicly owned parklands along the Welland River. In this struggle a prominent role has been played by an Oneida family with long roots in Niagara Falls, the Dockstaders. A respected elder of this family Bob, spoke to Niagara Falls City Council on May 8, and identified himself as part of the Oneida Bear Clan. 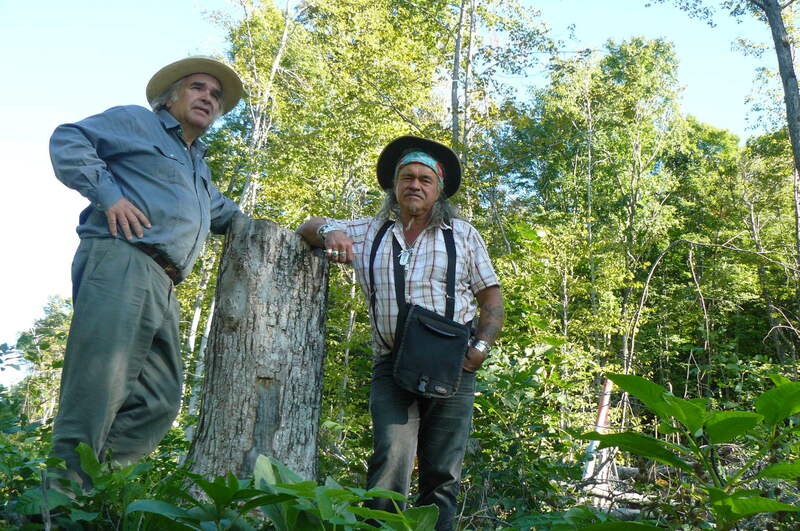 Karl Dockstader has been involved in the struggle in many ways, notably penning a tribute to an ancient tree he termed the “Thunder Oak.” It was a little seedling in the forest when the Treaty of Niagara was signed near the forest in 1764. The Dockstaders have in practice carried out the wise teachings of native elders and intellectuals that I have been blessed to hear from, frequently working with my friend, Danny Beaton, a Mohawk of the Turtle Clan. What this learned people teach is that native sovereignty is not something that is cited in abstract texts. It is asserted, or taken in practical measures. While the Thundering Waters Forest is overwhelmingly diverse precious native Carolinian habitat, home to threatened native species such as bats and turtles, along its edges there has been trash dumping. This problem has been used by developers and politicians in support of its destruction as a rationale to legitimate their schemes. Tackling this problem is not easy, since GR Canada has threatened those such as Owen Borjen, who propose to organize trash clean ups, have been threatened with arrest and substantial fines. The Dockstaders took part in an unusual assertion of native sovereignty a trash clean up. Garbage notably tires were pulled out of a vernal pool, now identified in a consultant’s report as Wetland Number Five. This wetland, which the owner GR Canada attempted unsuccessfully to be Down Rated, may contain polypods of the Endangered Jefferson Salamander. Removing tires with their toxins that can kill salamanders was an act of asserting sovereignty. The tires were gathered below in Wetland Five, pulled up with a rope, assembled and driven in a truck by a dedicated ecologist Adrin Willems. This simple act done of defiance of GR Canada, a corporate entity owned by the powerful state of China was a powerful assertion of native sovereignty. In their eloquent speeches to Niagara Falls City Council, which incorporated native teachings about the important role of the now exterminated Passenger Pigeon, whose arrival in the past served as s symbol of the arrival of the sap of maples for trapping, the Dockstaders stressed the role of the Thundering Waters Forest for simple human happiness. In describing the joy it gave to children blessed by experiencing its presence, the Dockstaders built upon experiences of myself and one of the presenters on May 8 who lives near it, Derek Jones. Quite movingly, Jones described how the Thundering Waters provided comfort for him during critical periods of his life, being a place of solace for his family in times of trauma. I have found that camping in the forest has cured deep depressions. Karl Dockstader has pleaded that such so called “disturbed areas” based on actions in the 1920s, “look beautiful to the common person.” These areas mocked by developer paid consultants as “cultural thickets” may in reality be hawthorn savannas.” They are a refuge for a Endangered bird, the Barn Swallow. 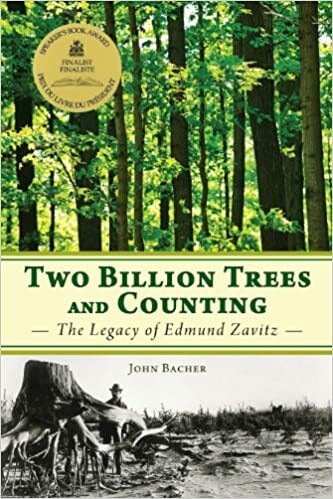 Herlovitch’s attempt to say that maintaining harvesting rights are compatible with forest and savanna destruction for urban development are based on his science fiction approach to land use planning. This maintains that before the forests will be destroyed for urbanization in two to five years they will be replaced by invasive Buckthorn. Such an approach to land use planning based on assumptions of Buckthroun replacing Green Ash killed by the Emerald Ash Boer will be replaced by Buckthorn. More reliable scientific study conducted by the US Forest Service has found that the successor species are various varieties of oak. 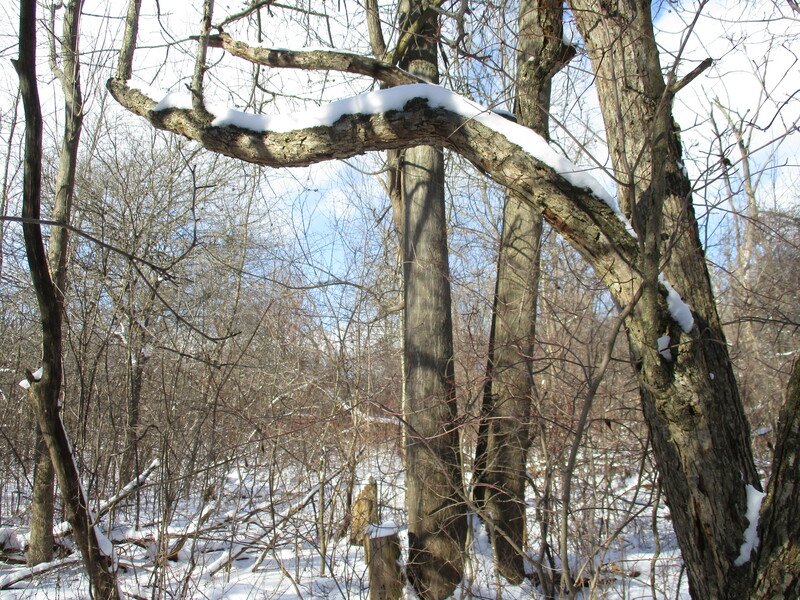 The trickery used around the issue of Buckthorn resembles the deviousness earlier around what was termed “bio-diversity offsetting.” This concept of destroying old growth forested wetlands to be recreated resulted in an oppositional brief by a Mohawk of the Turtle Clan to Niagara Falls City council, Danny Beaton. Folllowing his protest, wet land offsetting was rejected by the provincial government. The Haudenosaunee have struggled to defend the natural heritage protected by the treaties that were blessed by the shade of the Thunder Oak. Let us hope their wisdom prevails in future land use planning battles by the Local Planning Appeals Tribunal (LPAT) now that Niagara Falls City Council has approved the Riverfront development. In a lengthy summation argument just before the Niagara Falls City Council by an eight to two vote approved a 120 acre development called “Riverfront” in Niagara Falls’ over 500 acre Thundering Waters Forests, a surprising revelation was made. The was repeated twice by the solicitor for the development corporation that seeks to replace the diverse natural Carolinian forests with urban development, Jane Pepino. Pepino twice repeated the mantra of destruction for the demise of Thundering Waters Forest. The forest, now largely a protected wetland, is home to three species of endangered bats and the Endangered Barn Swallow. It is also a haven for Species at Risk such as the Wood Thrush, Eastern Wood-Pewee, Snapping Turtle and Midland Painted Turtle. While the Niagara Falls Planning Department Alex Herlovitch stressed the control his 27 conditions over Riverfront Pepino made it clear that her client, GR Canada Limited ha s bigger ambitions. Twice in her presentation she told City Council that the current proposal would be followed by what she termed a “Phase Two” development proposal. Before Pepino’s concluding remarks Owen Borjen a biologist and film maker had earlier expressed concern that the harmful ecological impact of the Riverfront development would encourage through triggering species loss, additional development. This is because through drainage, reduction of the size of habitat blocks, and encouragement of inbreeding there might occur species loss on lands which are now protected wetlands. Such species loss could then trigger wetland Down Rating, causing more land in the Thundering Waters Forest to be opened up for development. Borgen also spoke on how toxic contaminants which around the proposed development could trigger species loss. He told City Council that he found this most disturbing as a result of the reaction to GR Canada to his proposal to do a trash clean up around the perimeter of the Thundering Waters Forest. Owen Borgen complained that City Council must have shared his request for their participation with GR Canada which triggered a hostile response. He received a letter from GR Canada’s lawyers indicating that if he actually carried out a perimeter trash clean up that he would be arrested and subjected to a $10,000 fine. Trash problems around the edge of the forest were used frequently by City Councillors who supported the GR Canada development to justify their votes. Such arguments were bolstered by their manipulative use of testimony by a Professor of Biology, Miram Richards. She commented on the amazing diversity of wildlife such as vital pollinating insects such as bees found even in areas where dumping had taken place. Councillors seized upon this honest argument of awe with the forest to justify its destruction. Impressive arguments for the defence of Thundering Waters were made by a Niagara Falls conservationist, Linda Manson. She read from a recently published Appendix to the Environmental Impact Statement (EIS) of GR Canada’s Ecological consultants Savanta. He contained page after page of comments where Savanta clashed with the Ministry of Natural Resources and Forestry (MNRF) over the Riverfront development. She repeated MNRF’s comments that the protection of wetlands has to be based on existing policies, not “evolving” ones, such as bio-diversity offsetting. Attention to comments by MRNF were also made by two councillors that voted against the Riverfront proposal Wayne Campbell and Carolynn Ioannoni. Councillor Ioannoni stressed a MNRF letter of April 20, 2018 by Tara McKenna District Planner for MNRF that the EIS which is supposed to guide the development of provincially significant forests and wildlife habitat on the site is still incomplete. Their comments were reinforced by one of the public speakers, Daniel Nardone, who stressed the need of a Peer Review of Savanta’s work. The contempt for the concerns of the public regarding the need to protect endangered species was well summed up by the views of councillor Wayne Thompson, a former Mayor of Niagara Falls. One of the reasons that MNRF has been so determined to protect the Thundering Waters Forest is their conviction that it is an important refuge for Endangered bat species. To this concern Thompson replied that while he worked in Public Health he was heavily concerned with killing bats.